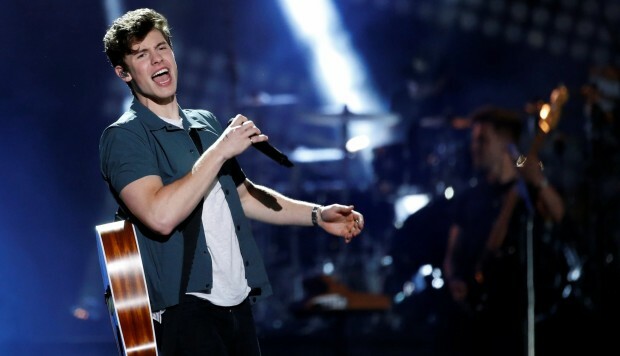 Shawn Mendes‘ self-titled album was one of the biggest releases of 2018, and that’s why you need a copy. We’re not just giving away any old version, we’re giving away a sought after vinyl copy. You could be spinning his huge songs including ‘In My Blood’ and ‘Lost In Japan’ on this beautiful LP. If you want to be in with a chance, just follow the instructions in the Tweet below. Want to know something even better? This giveaway is open worldwide; so you’ve got no excuse not to enter. 1. This giveaway is open worldwide. It opens on January 27, 2019 at 10 pm GMT (5 pm EST) and closes on February 3, 2019 at 9 pm GMT (4 pm EST). 2. The prize consists of one (1) copy of Shawn Mendes’ self-titled album on vinyl. 4. Winner(s) will be contacted by United By Pop via Twitter direct message. Winner(s) must provide United By Pop with their full name, mailing address, and desired shirt size to receive their prize. If a winner does not respond with this information within 24 hours of being contacted, winner forfeits the prize and a new winner will be selected. 6. United By Pop is not responsible for prizes that are lost, stolen, or damaged during shipping. Winner is responsible for any and all duties required by their local postal service if necessary. Items may ship separately. 7. This giveaway is in no way sponsored by or affiliated with Facebook, Instagram, Twitter, Shawn Mendes, Capitol Records etc.